Priya Parker, author of "The Art of Gathering"
Congratulations! You’re bringing people together. Powerful things happen when people show up for each other, and we’re here to guide you to your goals. Our Help Center is available every day to help you learn to use our tools, but the Organizer Guide will provide you with the guidance and inspiration you need to be successful at any stage of your Meetup journey. Just made your Meetup group (or still considering it)? What do members expect from an organizer? Made your Meetup and ready to hit the ground running? Looking for inspirational ways to connect with your people? How do I make everyone feel welcome? If you’ve already had some great Meetups, we’d love it if you’d share them with us! You can also join a local organizer Meetup to share the wisdom you’ve gained and learn from other organizers in your area. Make time to say “hi.” Be warm and welcoming — look them in the eye, smile, and introduce yourself as soon as you can. Set expectations. Remind everyone what this Meetup’s agenda is. Clarifying the day’s activities gives members something to do right away when they get to the Meetup. Open things up with interesting group questions. Prepare a question or two that members can use to get to know each other. It should be specific, fun, and related to the theme of the Meetup. Meetup has communication tools to keep conversations going. Reach out using the Mailing List. Send a message to attendees the day before a Meetup to remind them. Shout out that newbies will be there, mention you’re looking forward to seeing everyone, and remind them of anything they’ll need to bring. Follow up with attendees the day after a Meetup to thank everyone, continue a conversation, and give a hint to what might come next. Value your members’ time—limit yourself to 1 or 2 messages per Meetup. Reply to members with timely, conversational, informative comments. Member can’t make it? Make sure they know when the next Meetup will be and welcome them to it. Tell members how to find you (i.e. the woman with the pink hair at the back table) and encourage them to reach out if they’ll be late. Assure them they’ll be welcome even if they’re not on time! Brainstorm what’s next in Discussions. Suggest ideas for new Meetups and respond to member ideas in this short-form discussion tool. Keep conversations going between Meetups and cultivate an atmosphere where members feel empowered to connect and share ideas. Meeting up with a group of people you haven’t met before can take some getting used to. Great organizers make members feel welcome before they arrive to a Meetup, during, and after. Set an example. Greet everyone when they arrive at your Meetups. Make time to introduce new people to everyone else. If being welcoming is your priority, other members will follow your lead. Communicate. Answer questions and comments on your Meetup in a timely fashion. Showing a member you’re there to help and welcome them builds trust even if you’ve never met. Clarify your expectations for every member. Hold each other accountable through honest communication and empathy. Show your members that you’re warm and approachable, and they will be too. Empower everyone. Instilling trust in your members will encourage them to trust you, too. Build a leadership team and coach your organizers to uphold your values. Collaborate. You’re not in this alone. Ask for Meetup ideas, venue recommendations, and feedback. Implement change wherever it makes sense. Stay active. Always make sure your members know what’s up next. Keep scheduling Meetups! Part of being friendly and welcoming is respecting your members. They want to be a part of your community, so make it easy for them. Stay on topic. Schedule Meetups that focus on your community’s goals. Avoid scheduling too many Meetups that don’t align with your mission. Balance your onsite communication. There’s a difference between keeping people informed and overloading them with emails. Be respectful and condense your messages. Highlight what’s most important, and make sure the information only goes to those who need it. Make a Meetup that finds your people. The time is now—start your Meetup! Your Meetup’s name is an invitation to your future community. Make sure your future members feel welcome and know what you’re all about. Be specific. Make it easy for everyone to know they’ve found their home here. Keep it short — what if your new community wants team shirts someday? Avoid using your own name — your Meetup is for your community, not just you. Spelling counts — check for typos. Unsure? Download Grammarly. Be clear and authentic — this builds trust with your future members. Why are you starting this Meetup group? How does it create community? What do you want people to take away from your Meetups? Let them know what this Meetup is going to do for them, and what they need to do for it. The topics you choose when you’re making your Meetup are what we use to locate your future members. Choose the topics that best relate to your Meetup. Having too few or too many unrelated topics will make it hard for the right members to find it. You’re limited to 15 total, so use them wisely. Be real and welcoming by giving your members a clear picture of what they’re signing up for. Upload a cover photo — if you have a logo ready to go, use it. If not, choose something else that represents your Meetup’s identity (and you!). 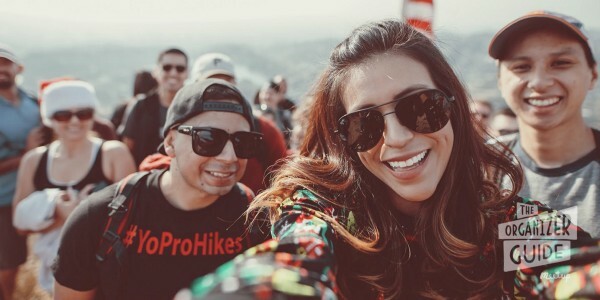 Try a free stock photography site like Unsplash or Pexels until you have some event photos of your own. Schedule your first Meetup right away — that way, when members join, they’ll be able to attend and get involved from the beginning. Congrats! You’re ready to start your Meetup. Once your Meetup has been reviewed and approved, we’ll look for members that have expressed interest in the topics you selected. Those members receive an email announcing your Meetup, and they’ll be invited to join right away. Take a second and make sure you’ve said everything you need to say. Your announcement is your first impression in the world — make your mission clear. Are you ready for your Meetup? Here’s five things to check off before you meet. Set a clear schedule in your Meetup description. If the Meetup has set activities, note when members need to arrive. If it’s more of an open social hour, let people know. Find some venue options. Contact management with your questions, and check if your members need specific accommodations. 3. Send an message to those who said they’re coming. Rely on your regulars — don’t be shy about asking them to help out. Reach out personally to newcomers — developing a rapport encourages them to show up. Make signs, prepare name tags, and ensure you have everything else you need for Meetup to be successful. Get there early and greet people as they arrive. Introduce them to each other, and ask them thoughtful questions. You’re ready! Let’s do this. You did it. What’s next? Send personal messages and ask for feedback. Use event comments or discussions to start conversations. If anyone was a No Show, follow up and let them know they were missed! Keep a positive attitude and invite them to your next Meetup. 3. Schedule the next Meetup. Get something on the calendar ASAP. If you don’t have the next one scheduled already, ask members to contribute ideas. Encourage people to RSVP while you’re talking in real life. 4. Notify everyone about what’s next. Send a mailing list message with any updates. Find out what everyone loved and what could be better next time. Was there too much coding and not enough coffee? Reevaluate and brainstorm on how to improve. Congratulations! You’ve created a new group to bring people together IRL. People out there share your passion, but how will they find your group to make that connection happen? Good news: Meetup is here to help! Shayak Banerjee, senior engineer on the Machine Learning team at Meetup, shares some insights about how we use algorithms to help connect your new group with the members who are most likely to be interested in joining. When you create your group, you lay the foundation for finding members by choosing your group name, description, location, and topics. Think about what potential members are looking for in a Meetup as you customize your group page to be clear, authentic, and welcoming. Once your new group is created, a community team member at Meetup HQ reviews the details (location, topics, name, and description). They’ll ensure everything aligns with our community guidelines, and may update your topics or filters to help you find your community. If you’re bringing together people with specific characteristics (e.g., Moms of Orange County or Kayaking for People in their 30s and 40s), the reviewer will set those filters in order to find them. The Meetup platform has tens of millions of users and processes close to 500+ new groups every day. Meetup balances the needs of organizers (publicizing new groups to encourage membership) with the needs of members (sending relevant emails). So how does Meetup actually determine which members to alert about your new group? Since Meetups involve meeting in-person, location is a strong component of our algorithms. We use zip code, city, state, and country for groups and members to make a good match. We also look at other groups in the same zip code as you, their members, and where they come from. Choosing topics is the best way for members to show interest in future groups. Our algorithms match members and groups that have selected the same topic. However, there are thousands of topics and an organizer can only pick 15 to define a group. Don’t stress—Meetup automatically expands the list of topics to best find members interested in your group. Let’s say you picked snorkeling as a topic for your group. Based on topics selected by other Meetup groups and members, the algorithm will spot an overlap between snorkeling and scuba diving. Our emails will then reach out to members interested in both snorkeling AND scuba diving, telling them about your new community! Meetup considers member-entered information like age and gender when promoting groups with a designated demographic, like Kayaking for People in their 30s and 40s. However, not everyone specifies their age or gender, so Meetup may use clues like other groups they are part of, and the age/gender focus they have. The Machine Learning team is constantly refining and improving this process. Active members (those who RSVP, join groups, send messages, etc.) are more likely to consider joining new groups. As a result, new group announcements go to active, engaged members. Your Meetup matters. We’re excited to introduce your new group to potential members in your community and help you find your people! Shayak Banerjee, Senior Machine Learning Engineer at Meetup. Whether it’s your first Meetup or your hundredth, think about the experience you want to create. Make sure your ideal place helps achieve your goals. You want to consider everyone’s needs. What kind of space do you need for your activities? Do you need room to dance? Do yoga? Do you need any specific amenities? Do any of your members need accommodations? Select a place where everyone will feel comfortable. Decide what atmosphere matches the goal of your Meetup, and keep it in mind as you search for possible venues. If you’re meeting in a business, connect with management to let them know you’re coming. Encourage your members to be supportive by buying a beverage or a snack. What do you want your Meetup to look like? WeWork: Meetup and WeWork have launched a program to make beautiful space available, free of charge, for your next Meetup. Organizers who have used the spaces, love them. 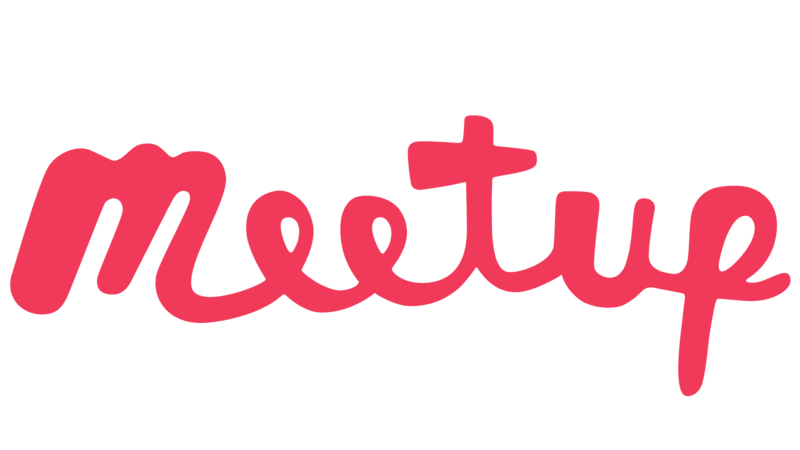 Learn more about the program to host your Meetup at WeWork. We’ll let you know when there’s availability. Yelp: Yelp is a quick way to find opinions about local spaces. Yelp reviews often contains venue details you might not see on a space’s website. You can quickly crowdsource data about whether a place takes credit cards, has ample parking, and if it’s considered good for groups overall. Google Maps: You can use Google Maps to easily get a sense of the spaces in a local area. You can read user-created reviews, see what times a place is busiest, and see suggestions for other similar venues in the area. Crowdsourcing: The members of your Meetup are passionate about the same thing you are, so they likely already have some good ideas about where to go. Ask them to share their ideas — you may find someone with a connection to the perfect space. Local community spaces: There are likely many community-oriented options available for minimal costs. If they match your desired atmosphere, try reserving time at one of these options. Whatever space you decide on, check it out in real life. Pictures, reviews, and recommendations can’t replace an actual experience. You’re finding your people and building a community — congrats! There are a lot of ways you can deepen your relationships and elevate your community. Communication builds trust and relationships. The way you interact with your members online is as important as the way you interact in person. Welcome everyone: Your members are your guests; welcome them the way you’d welcome someone into your home. Create a welcoming routine that works for you. Send out an automated welcome message to every new member and introduce them to others by starting a conversation on the Meetup group’s homepage. Be informative: Keep your members in the loop! Update your Meetup group’s events when times and locations change. Be a resource: Your members are looking at you as their guide — make sure you are answering their questions and offering solutions consistently. Gathering feedback shows that you’re listening to your members. Be open: Let your members know that you want to receive helpful feedback, and that you’re prepared to make positive changes. Listening and acknowledging their ideas means a lot. Be honest: When gathering feedback, be honest by following up with your members about what you’re able change and why you might not implement some suggestions. Be transparent: Acknowledge if you don’t have the answer to everything that comes up. Let your members know what your goals are and don’t be shy asking them for help. Even if your Meetup is centered around a specific activity or presentation, create time for socializing. For example, if you’re all attending a movie together, make plans to meet at a nearby bar or coffee shop so everyone has time to make introductions. If you’re leading a presentation, set time on your agenda for open networking so everyone has a chance to make connections. Relationships take time. Keep at it. You’ll end up with the strong community you’re looking for. Interested in learning what it takes to build a great Meetup group? We’re excited to introduce you to the Organizer Network, a community of leaders who can help you take your group to the next level. Your Meetup group has a connected, welcoming, and passionate community with common goals, and your Meetup’s homepage tells story. DO: Have a welcoming and accurate description. Set expectations. A local book discussion or a coding class might be exactly what a potential member is looking for, but if your description is too short or overwhelming, they might not take the next step and join. Balance is key. Give potential members an idea of your Meetup’s vibe. Be clear about what should they bring to the table when they attend your Meetups, and what experiences they’ll leave with. DON’T: Overcrowd your description with rules. Focus on the positive qualities you want in your community and paint a picture of the members you want to join. DO: Choose photos that highlight your personality. Use a clear photo of yourself on your organizer profile. Having a good photo will let potential members know you’re a real person, and starts building trust before you meet. Select a cover photo for your Meetup. If you don’t have group photos yet, that’s okay! 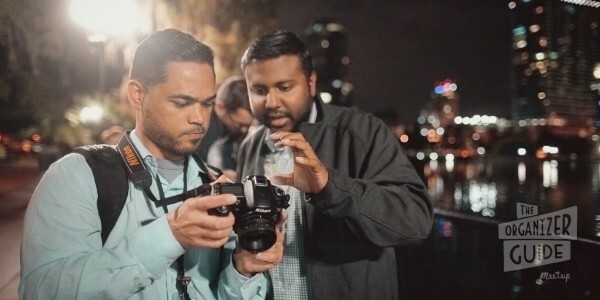 Choose a photo that represents your Meetup’s identity. DON’T: Use blank or generic photos. Having no photos on your profile or in your Meetup is a missed opportunity! A great photo tells the story of who you and your members are. DO: Keep your calendar full of awesome Meetups. When a Meetup ends, get your next one scheduled ASAP. Collect suggestions for new activities and give your members something to look forward to. Find a consistent cadence that is right for you. DON’T: Schedule Meetups you can’t attend. An automatically recurring Meetup ensures your calendar stays packed, but you have to manage it. If you have a Meetup you can’t attend, cancel it and update your members. The online aspects of your Meetup help make your in real life experiences even better. Spend time making your Meetup homepage the best it can be! Learning new skills, honing old ones, achieving specific goals, and forming forever friendships—communities have the power to give back. Yvonne, organizer of NYC Tiny House Build: Empowering Women/Girls Meetup, started her Meetup after spending time wondering why she didn’t know how to use the tools she saw in her favorite home improvement show. She posted her first Meetup with a simple premise in mind: Who wants to use a mortar saw with me? Jace and Yasmin started Brick Oven Brooklyn with a singularly defined goal: find an available brick oven, and start cooking with other people. What started as a niche interest turned into a community that grew so much their single brick oven could no longer take the heat. They worked together to crowdfund a bigger oven, and now they’re able to host open baking Meetups where anyone in their community can bring something to cook. The small cooking community they hoped to create has expanded to include anyone in the neighborhood that has something cook! Their current record is 94 pizzas in 3 hours. Being a Meetup organizer comes with plenty of rewards you’ll expect, and several that’ll surprise you. Time to meet your members IRL!